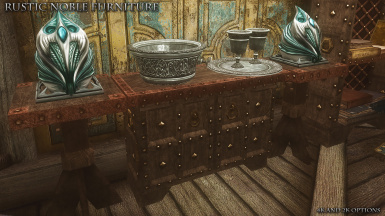 UPDATE 2.0: I added the textures for the "furniture high chest", which is part of the upper class furniture. 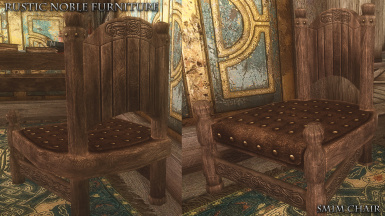 This was not included in the hi-res packs, so only a 1K texture was available. 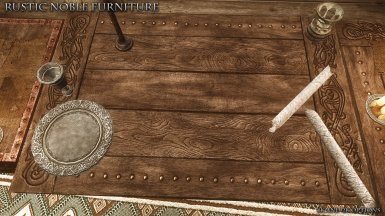 I shortened the mod name to RUSTIC FURNITURE, because it is no longer limited to just the noble furniture pieces. Rumors of my demise have been greatly exaggerated. 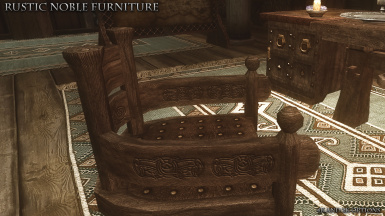 I return to give you the latest addition to my "rustic" series of Skyrim retextures, RUSTIC NOBLE FURNITURE - SSE. 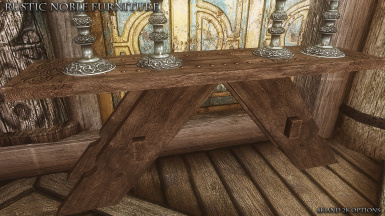 Please leave comments here, and feel free to add screenshots for all the items that I was unable to capture. 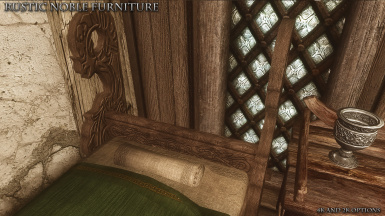 Note: All my mods are exclusive to Nexus - I do not port my work to other sites. 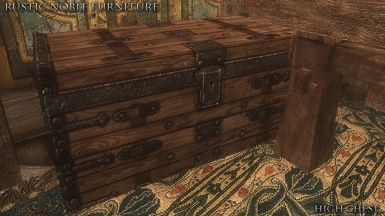 btw if using smim the chests retextures are not applied, there's a way to change that? 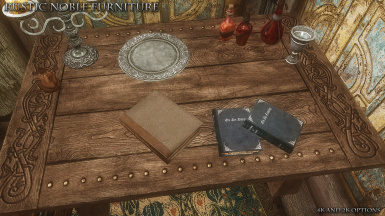 Unfortunately, SMIM has a completely different layout for the texture, so it would require doing it all over again. I'm not planning on doing that any time soon. It's easy enough to just deactivate that one mesh. 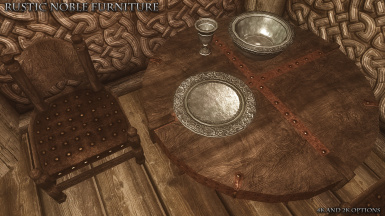 It's sometimes used in conjunction with the noble furniture texture, e.g. 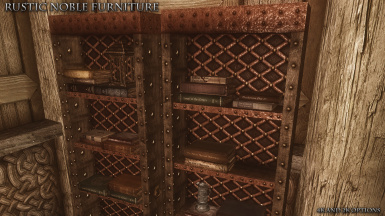 in Castle Dour or Castle Volkihar. 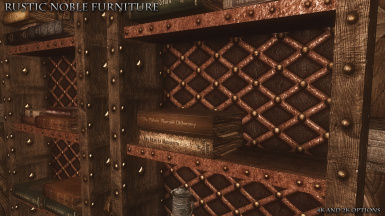 The vanilla texture is a lot more saturated than yours, leading to an obvious inconsistency. I'll probably get to it at some point, but I'm busy with other things right now. 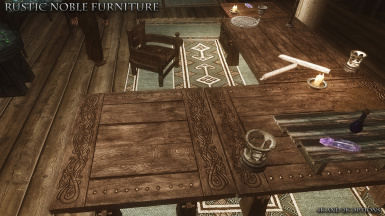 Your mod looks great, thanks so much for the hard work on this! 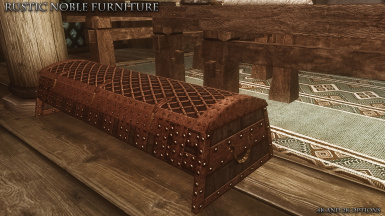 Curious about what was changed in the latest update? Seriously? Look at the sticky post above. I think he asked because the sticky post's update sign did not have a specific date on it, so he was confused. 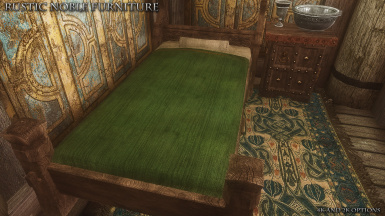 In any way, thank you for the new textures. Gamwich, I cannot sing your praises enough. 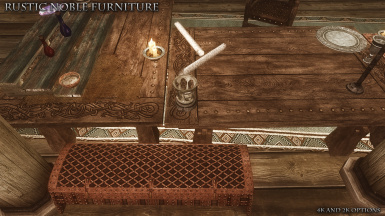 I've been using your mods for years, both on Oldrim and more recently here (so happy to see that you're on the latter as well as the former!). You pay so much attention to the details that so often get overlooked. I'm a big fan of your work and I can't even begin to imagine how much time you've put into everything. 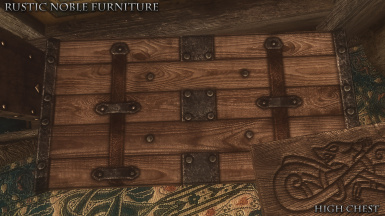 I'm really enjoying these textures, thank you for giving the furniture a better look! 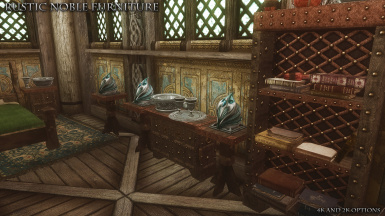 Do you think you could retexture the display cases some day to match? 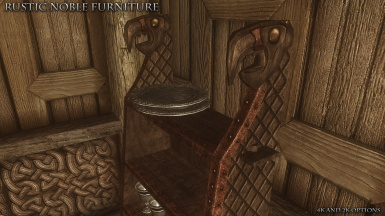 At least in my current game they look at little out of place compared to the rest of the noble furniture. It's possible..... 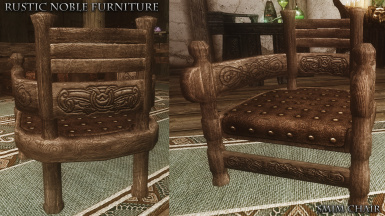 There are other furniture pieces I may get to at some point. Cool, would be awesome to see how you handle them. 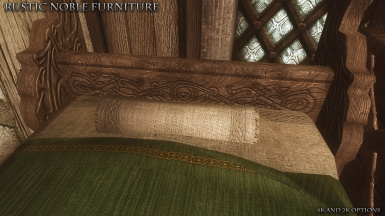 For now I'm using https://www.nexusmods.com/skyrim/mods/3693 which seems to be a little closer to your textures than Noble Skyrim's version. 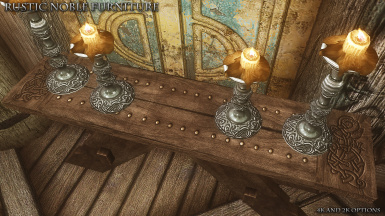 These look sooo nice, cant wait to DL and give them a shot!